Happy to see the Portugese translation of my lost in standards article! Great conference with many interesting speakers. I was happy to get the opportunity to talk about the Centre of Excellence (CoE). In this session I gave an understanding of the role of a CoE, the functions a CoE can perform e.g. standards and methods, internal consultancy, organizational learning and knowledge management, and people and skills. I combined theory with my own experiences, resulting in best and good practices. I showed an overview of more than 50 different standards and methods and how to cope with that from a CoE perspective and you will not get lost in the PMO standards wood. For those who couldn’t attend I added the recording of my presentation and as always always happy to answer your questions too. Last time I reviewed a set of six little books from NineFeetTall. This week I received number seven. The little book of Portfolio Management and a I got sneak preview of their newest little book which is not being launched until next year: The little book of Project Methodologies. This last one got my special attention because I am the author of the Lost in standards QRC. This book starts with some definitions, followed by the organizational context: Business as usual, the management board, business planning, programme/project management, information technology, finance, human resources and performance management. The next chapter describes how to define a portfolio, by using the five practices of the MoP definition cycle (Understand, Prioritize, Balance, Plan and Understand). The next chapter focuses on the portfolio delivery, looking at reporting via a portfolio dashboard, benefits management, financial, risk, dependencies and resource management. The following chapter explains the portfolio health check. The last chapter describes the implementation of portfolio management. 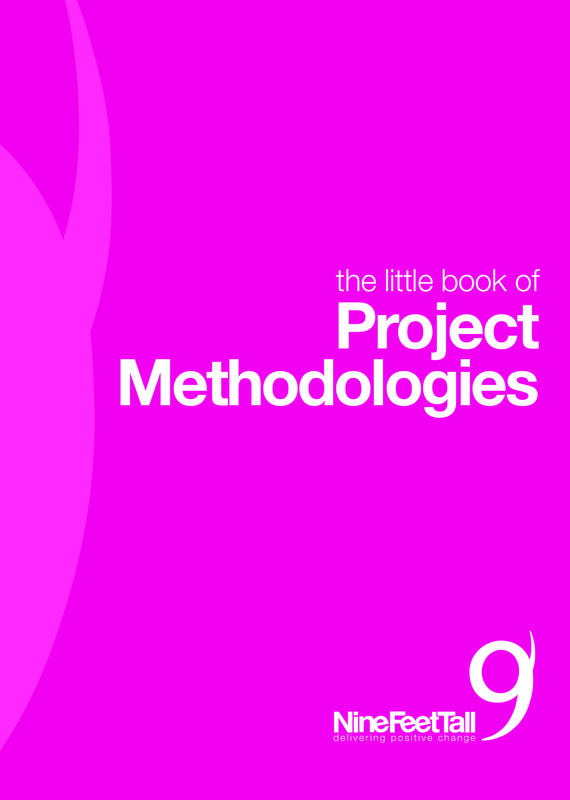 The little book of Project Methodologies. This book gives insight in several project methodologies starting with definitions of a methodology, project management and a project management methodology. The next chapters introduces the waterfall methodology and agile explaining the fundamentals, the lifecycle, the principles and the agile manifesto, the why using it as well as the differences between Agile and the traditional approach. The following chapter goes into the best of the rest explaining DSDM, Scrum, XP, Lean development, spiral and critical chain. The next chapter is all about mixing and matching. How to combine Agile + waterfall or waterfall + lean, Agile + XP and Waterfall + Scrum. For some in depth knowledge I can recommend PRINCE2 Agile which describes a great tailoring model using an agilometer to combine an incremental approach with Scrum and Lean start-up. See: PRINCE2 Agile. What factors (project type, business sector, organizational structure, skills, maturity and culture) are there to consider if you want to choose the right methodology is the focus of the next chapter. When does agile suit your project, when should you avoid using agile and when is waterfall the right choice. Again two easy to read little books, full of simple checklists and tips, quotes, fact and figures and some great graphics. 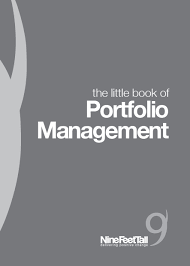 You can order The little book of Portfolio Management for free at http://www.ninefeettall.com (*UK addresses only).